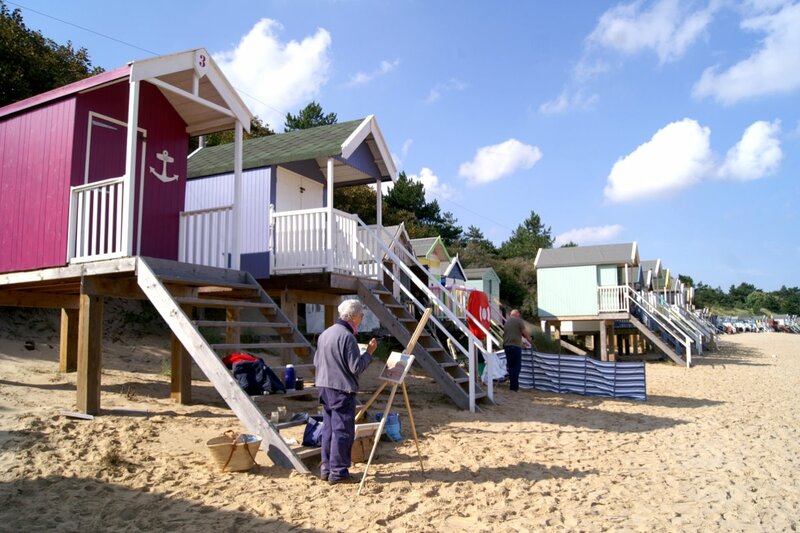 Paint Out presents plein air artists painting around the beach (17 Sep), quayside, town (15-16 Sep) and Buttlands (16-17 Sep) of Wells-next-the-Sea, and on the morning of 16 Sep in Blakeney as part of Paint Out Wells 2017. Their works will be on display and for sale Saturday and Sunday (16-17 Sep) 10-5pm each day at our pop-up art gallery on the Buttlands (NR23 1EX). Click the artist’s name to view their Paint Out work, past awards, and profile. Some 20 artists were selected to compete at Wells-next-the-Sea in challenging light and weather, from sunrise to sunset, from sunshine to predicted downpour. Karen Adams, John Behm, JC Bradwell, Mary Brady, Alfie Carpenter, Jack Godfrey, Jane Hodgson, Andrew Horrod, Jerome Hunt, Brian Korteling, Sue Mann, Vicki Norman, Eloise O’Hare, Tanya Pawsey, Michael Richardson, Christina Sabberton, Jennifer Sendall, Jenny Swann Homewood, Pat Tinsley, Will Topley. 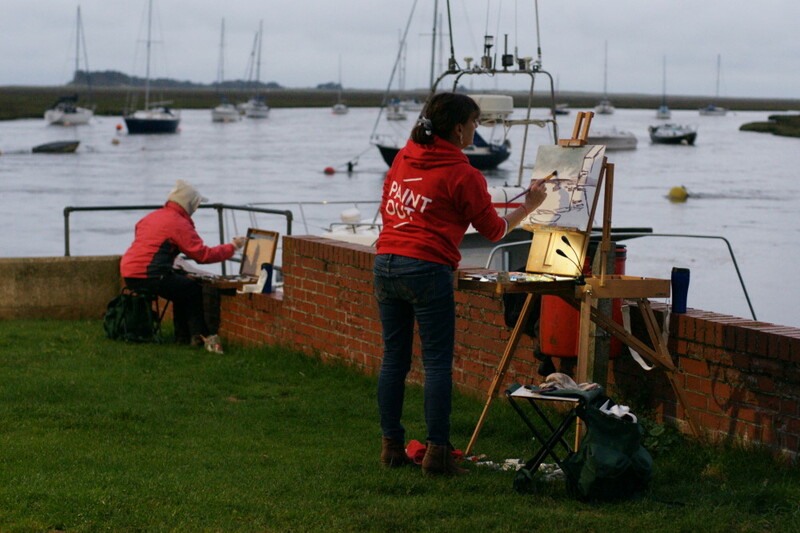 Artist Alexandra Egan joined us for the quayside dawn/sunrise paint out. 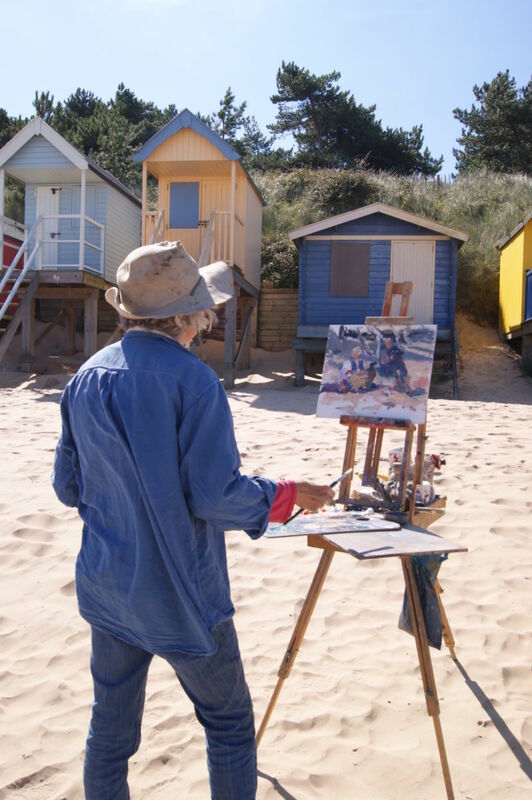 26 artists were selected to compete at Wells-next-the-Sea, 21 were able to attend – illness and circumstances can defy even the most ardent plein air all-weather painter! See more about the 2015 artists.